Prime G contains Metformin and Glimepiride. Metformin belongs to the class of drugs known as Biguanides. Glimepiride belongs to the class of Sulphonyl Ureas. Available in two strengths Prime G1/G2 Metformin SR 500mg with Glimepiride 1/2 mg. Indicated in the management of Type 2 diabetes mellitus. 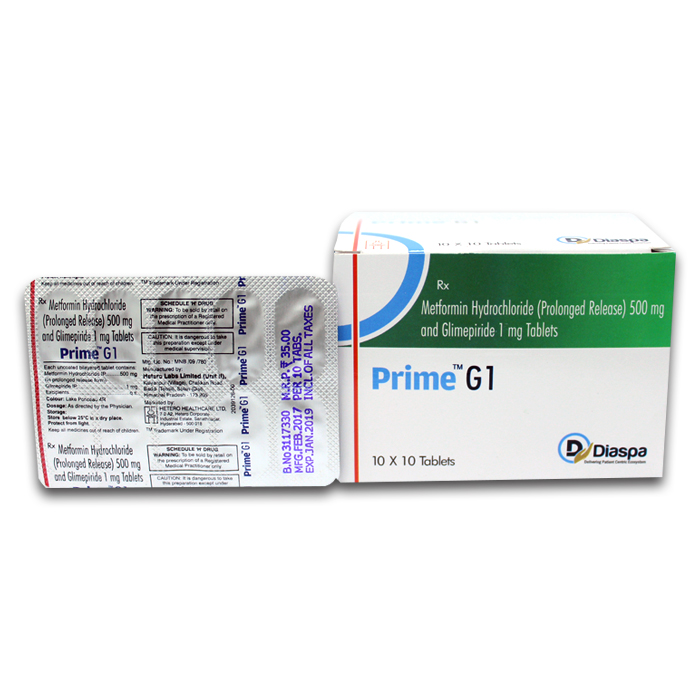 Prime G 1mg/500mg Tablet is used in the treatment of type 2 diabetes.